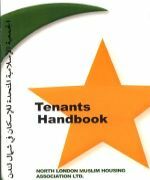 North London Muslim housing association offers a range of tenancies dependant on the type of property you live in. Starter or introductory tenancies are used by the association to get to know the tenants before they are offered a more secure tenancy. Usually the starter period is for one year, but the association may extend it by a further six months. During this period the association will monitor tenants rent; whether it is paid regularly and on time. Reports of any antisocial behaviour or any other breaches of tenancy. Before the end of the starter period the tenants will be notified whether another tenancy will be issued. Assured tenancies are granted to those who live in our social rent properties and on the successful competition of the starter period. Assured tenancies provide the greatest level of security of tenure. If we transfer our tenants within our stock we will try and provide assured tenancies where we are able to. Fixed term tenancies are granted to those living in Affordable rented properties. This is usually issued after the successful completion of the starter period. The fixed term tenancy is usually for 5 years in which the tenant has security of tenure. Before the end of the fixed term, the association will review the tenant’s circumstances. If the property continues to be suitable for the tenant and the tenant has not breached the tenancy conditions in any way, the association may extend the tenancy for a further fixed term. If the property is no longer suitable or the association feels that terms of the tenancy have been compromised, then the association may end the tenancy.